Yellow moong daal khichdi is one delicacy which has been underestimated and under appreciated by many . 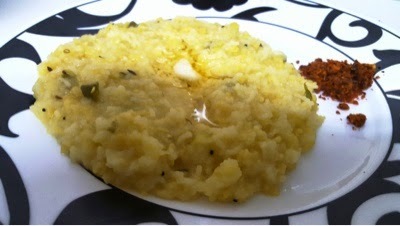 As in india we eat "khichdi " usually when we get sick, most of the times. To avoid heavy food when sick i guess. But me and hubby love it and relish "khichdi" usually on sundays dinner time , for more than one reason . Its light on stomuch at night , its tasty , its easy to cook . 2 green chillies slit and chopped fine. In a cooking pot fry cumin seeds followed by green chillies . do not fry for long , immedietly thrown in rice and moong daal and fry them for a minute,then add salt to taste and 2-3 cups of water to cook them. We like our khichdi to be watery . So i keep checking water consistency when rice and lentil are cooked .If its dry then pour more water to make it thick watery . Serve very hot with ghee or clarified butter , papad and hot red pepper garlic chutney . Enjoy !